There are a lot of people out there who are investing in artificial grass right now and there are plenty of good reasons for this. We’ve listed just 10 of them, and we feel that once you’ve gone through them, you will start to wonder why you haven’t invested in artificial grass before now. Installation is quick and easy it’s nowhere near as hard as you’d believe. It doesn’t take long and once installed you’ll have a fabulous lawn that looks good all year round. If you don’t fancy trying to install it yourself, then we offer an installation service with your purchase here at The Turf Shop. Yes, that’s right, it doesn’t look artificial once it’s lain down and to be honest, artificial grass has really improved since its inception back in the 1960s. 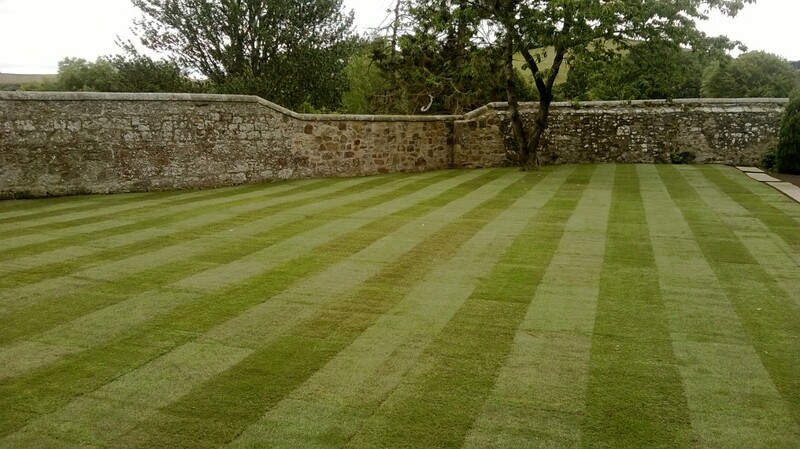 There are different types to suit different surfaces and it looks authentic, giving you a natural looking lawn that doesn’t cost the earth to maintain. Yes, little to no maintenance, because maintaining artificial grass is much easier than caring for natural grass. There’s no pesticides, fungicides or herbicides to use and that’s not only saving you money, it’s also saving the environment and that has to be a good thing. If someone in your family suffers with allergies, or even pets for that matter, then artificial grass is the solution. You can go back into the garden with your family and enjoy the warm weather without having to worry about sneezing and coughing. There’s no mowing involved because artificial grass just stays the way it is year in, year out. That means there’s no expense with buying a new mower, or getting them repaired, or even using electric power as you do with some mowers. You save on petrol and diesel if you have a mower which uses this type of fuel and that saves you money and the environment. Normally, dogs tend to dig, rip up patches of earth and that’s not good for your lawn, but with artificial grass you no longer have to worry about that at all. Artificial grass lawns are tough and durable so you can let your playful dogs out on the lawn and they won’t make a difference to it. Also, both solid and liquid dog mess can be cleared up easily, liquids are absorbed into the grass and drained away, while solids sit on the surface and can be easily cleared up and placed in the bin. 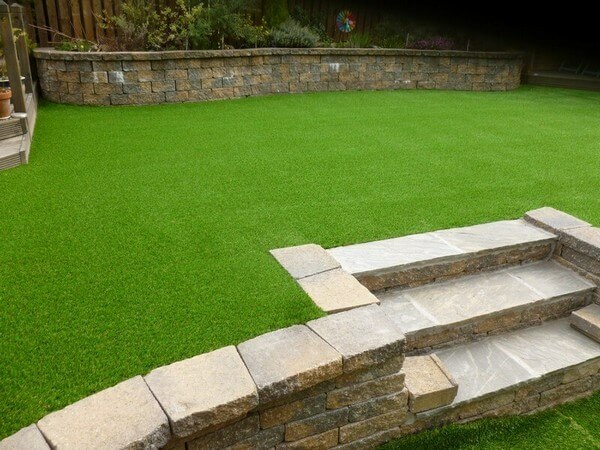 Artificial grass look good in all the seasons, even when its freezing, when its rained or when there’s been hot weather. Natural lawns get ugly bald patches, they can also get soggy and water logged leaving muddy puddles, but not so with artificial grass. It looks lush and green throughout the year, giving you a gorgeous lawn throughout spring, summer, autumn and winter. Naturally, you won’t have to water the garden, and that means you won’t have to worry about a hose ban in the summer months during warm weather. You won’t need to put seed down to help ‘feed’ you grass, this is sometimes necessary because of patches from foot fall, pets and garden furniture. 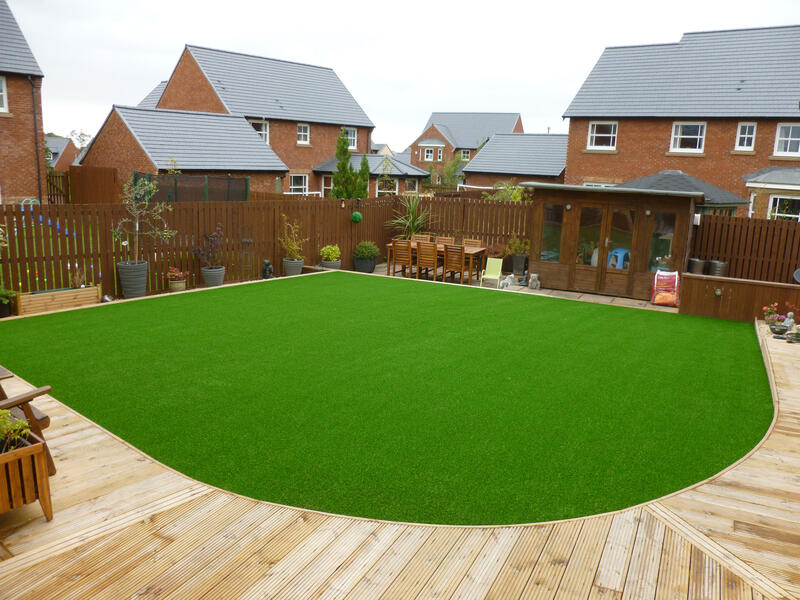 With artificial grass, it stays the same all year round, so you won’t have to worry about it anymore. After your initial investment, you’ll save money with artificial grass and easily get your money back, as well as save money in the future on mowing and all the herbicides, fungicides and pesticides you might normally spend money on. 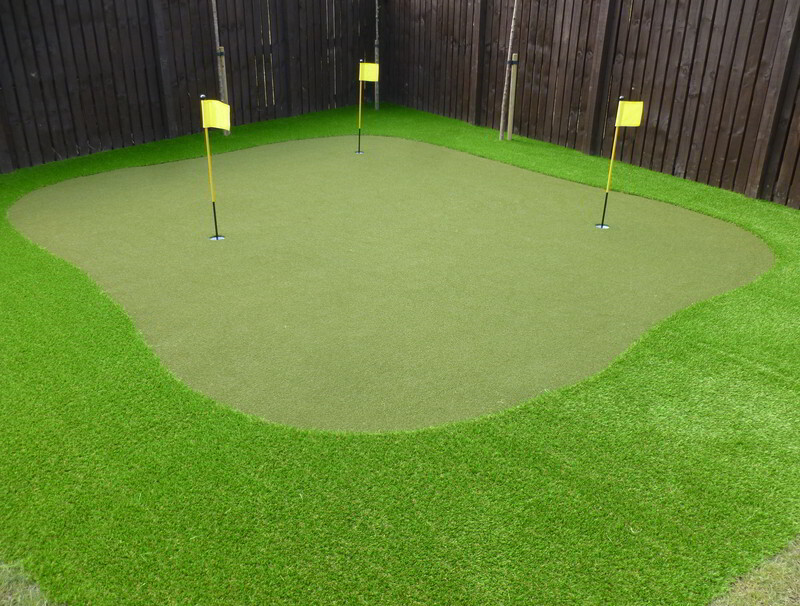 We hope we’ve done enough to convince you of the benefits of artificial grass, if you have any further questions don’t hesitate to get in touch with us here at The Turf Shop.